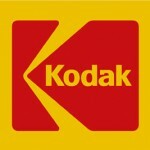 Kodak is also referred to as Eastman Kodak Company, which has been founded in 1889 by George Eastman. It is a multinational company of photographic and imaging equipment, services and materials. It is headquartered in Rochester, New York and operates into 3 divisions - Graphic Communications Group, Photofinishing and Entertainment Group and Digital Imaging Group. The company is known to its customers for photographic film products. In 20th Century, the company had 90% market share in the industry. As per 2011 report, the company had 17,100 employees all over the world. Antonio M. Perez is CEO and Chairman of the company at present. There are currently 0 consumer reviews about Kodak available. Share your review. Please take a note that you are about to post a public review about Kodak corporate office on CorporateOffice.com. This review will be public, so please do not post any of your personal information on this website. If you would like to contact the corporate offices of Kodak, please use their contact information such as their phone number, website, and address listed above to contact them. However, sometimes staff from Kodak headquarters do read the reviews on this website.